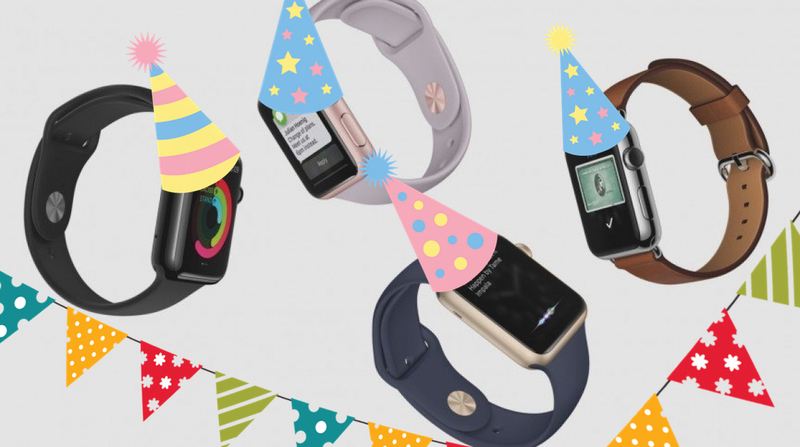 So the Apple Watch turns one year old this weekend. Many happy returns, for he's a jolly good fellow and so say all of us. And it's been a wild year. Think back 12 months and smartwatches were niche adventures for the tech crowd. Now Android Wear is being used by the likes of Fossil, Michael Kors, Nixon and Tag Heuer. And by most metrics, the Apple Watch has been a success for the company. In 12 months it's become the number one smartwatch manufacturer and along with Fitbit, taken control of a nascent wearables market. Not bad for a one-year-old. But this success seems to fly in the face of Apple's attempts to hobble its own product. To understand where we are one year after the Apple Watch's launch, we have to look back. And at every twist and turn, the Apple Watch has been undercooked and under developed. In our review period we highlighted a number of examples where the Apple Watch found a niche, only for it to significantly under achieve. The list is long: the sports tracking is terrible, even though the Apple Watch Sport exists. What is that about? The reporting of fitness is more basic than a $15 activity tracker, even though there's a heart rate monitor built in. There's a crippling lack of functionality when you step away from your iPhone. Plenty of people have voiced their wishlist for smartwatches. Smaller, thinner, long battery life, GPS is the usual list – in addition to the fabled “killer app" – these are all valid requests, but they all require new, more expensive technology that in some cases isn't available. But what we're asking for is possible today, with the Apple Watch's current technology. A few months, and a few updates down the line, do we have a watchOS convert? Now, Apple would likely say that it built the watch and it's up to developers to make this stuff happen. That's the model that worked for the iPhone. For example, Misfit should make the ultimate fitness tracking app that leverages all the data the Apple Watch can offer. But Apple, again, has stifled the chances for the Apple Watch to grow. It wasn't until the release of watchOS 2 – the big update that dropped in October – that Apple allowed developers to access the smartwatches sensors. That act was an anchor, dragging against the launch momentum of the device, which incidentally still lacks quality apps. watchOS 2 was billed as a big update to the Apple Watch, but in reality added very little. There were few fun or pleasing additions – it just brought shortcomings up to consumer's expectations. Since then things have stalled. Even the diagnostic port – the hidden socket that hinted to a bright future of smart straps, has been quietly hobbled by Apple so pesky third parties can't built interesting accessories. While an Apple Watch 2 would be a brilliant addition to the smartwatch and tech world, there's still so much that can be achieved with this model. The big opportunities are being missed and the project feels like it's needlessly stalling. There's no reason why Apple's Activity app shouldn't measure resting heart rate over time. No reason it can't tell me if I'm fitter than I was when I bought it. The reason that in 2016 the Apple Watch has no killer app is because Apple has not created the conditions for that to be made. And that's a real birthday party pooper.